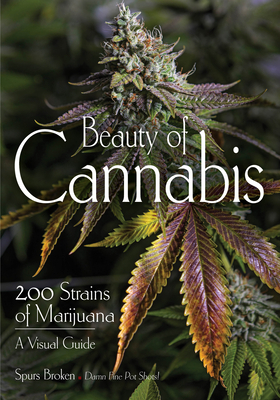 Beauty of Cannabis is a visual journey into the spectacular marijuana strains being grown in the 21st Century. Award-winning photographer Spurs Broken takes us as deep as the lens will allow by directing light into the valleys between the leaves and through fissures full of crystal trichomes to reveal the beautiful strands, strings, and balls of earthly delight. Readers will learn to direct light inside each bud so it can reflect off the crystals to reveal beautiful colors and will discover the rewards of alternating the depth of field by a few microns to find the deep-orange pistils and the saturated brilliance that manifests from the contrast when a shot is done just right. Cannabis connoisseurs will delight in intimate views of what they're smoking, as Spurs' signature style of macro-photography reveals the makeup of each plant's personality and characteristics of the individual strains in all their glory.